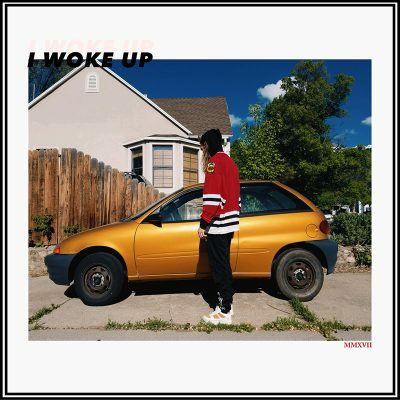 Local rapper Boone is at it again at Krispy Kreme with the release of I Woke Up. The EP is 13 tracks long, consisting mainly of Boone with little features. In this EP, we get to see the full spectrum of what Boone can do as an artist ,and, we glimpse into his world. I Woke Up is a great local choice for summer listening. Boone has found his voice as an emcee and has honed his skills down to a sharp point. One of the strongest and catchiest songs on the album, “20’s,” talks about a young person moving out and struggling to find their path. Boone raps, “Bounce out the house and you move to L.A., but your momma still pays for your phone.” Later in the song he continues, “Now six months deep, it nearly puts you in the streets so your daddy pays for your rent.” This track deals with a struggle too which many people can relate, and gives the listener an inside look into Boone’s life, as well as his views on what it means to grow up and navigate the world. The production on the album is well-mixed and mostly upbeat and playful. With the exception of a few tracks, like “Snap,” “Downtime” and “90 (in a residential),” the instrumentals Boone uses do not follow the typical trap trend that hip-hop has fallen into these days. Instead, the instrumentals incorporate guitar samples, piano riffs and simple, stylized backbeats. Most of the production follows a general theme that Boone takes advantage of well, setting up solid tracks that are cohesive, dealing with real-world struggles and the artist’s experience.